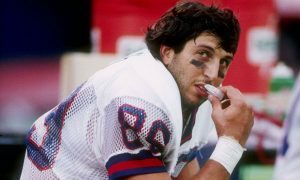 Join New York Giants Legend Mark Bavaro at JPRS Sports Card and Memorabilia Show. The Super Bowl Champ will be signing autographs from 1:00 – 3:00pm on Saturday, March 9, 2019. Advanced ticket ordering is advised. Below is the information you will need for the upcoming Mark Bavaro Autograph Signing.